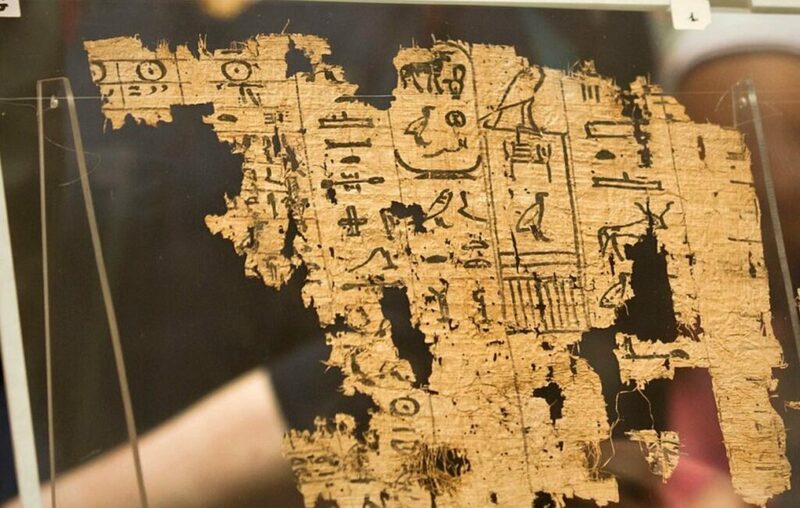 Not long ago, the Cairo museum has put on display the oldest ancient Egyptian papyrus found so far, dating from the era of Pharaoh Khufu, who reigned in ancient Egypt more than 4,500 years ago. The document mentions the construction of the Great Pyramid of Giza, west of Cairo. This ancient manuscript was discovered with other papyri in 2013 by a team of French and Egyptian archaeologists in the Wadi Al Jarf region, in the southeast of Cairo, on the shores of the Red Sea. The Great Pyramid of Giza is the only eight-sided Pyramid. The papyri narrate the life of the workers who participated in the construction of the Great Pyramid of Cheops, which was erected, according to mainstream scholars, as the eternal resting place for King Khufu, Pharaoh of the fourth dynasty. The papyri reveal the life of a man named Merer, who was responsible for a team of workers who moved massive stones from the east bank of the Nile River, to build the Great Pyramid of Giza. This papyrus “details the daily life and way of life of the workers of the port (Wadi Al Jarf),” according to a statement from the Ministry of Antiquities. 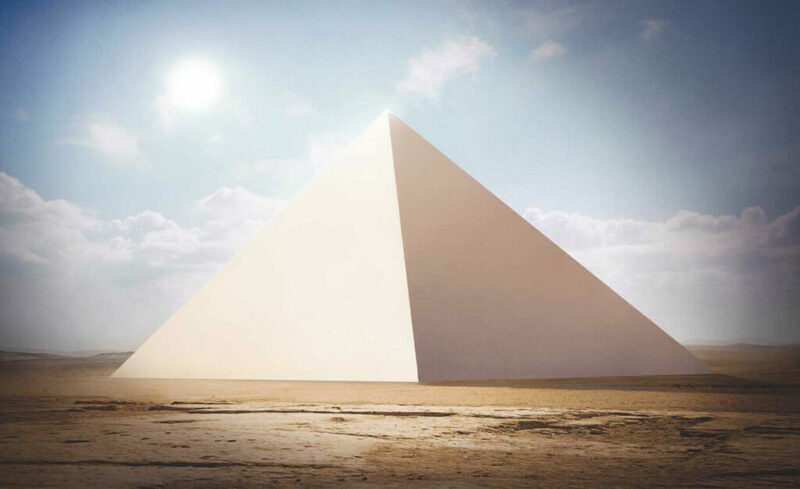 When the Pyramid was finished, this is what it may have looked like. “It details how a group of workers participated in the construction of the great pyramid” at Giza. The pyramid is considered one of the seven wonders of the ancient world, built more than 4,500 years ago. “A part of the ancient papyri, the diary of Merer shows that Khufu’s reign exceeded 26 years. How on Earth did the ancients build this massive structure? Before the discovery of the papyrus, there were few available details about the duration of the reign of the famous pharaoh of the 4th dynasty. It is believed that Merer led a team of about 40 sailors, according to the statement from the Ministry of Antiquities. The ancient papyrus offers evidence on how the port of Wadi al-Jarf played an important role in the construction of the Pyramid. Experts note how Copper was mined across the sea and then transported to Giza through this port. The coper was used to build stonecutting instruments which allowed the ancient Egyptians to shape the massive blocks of stone. The Great Pyramid of Giza is one of the most fascinating ancient structures on the surface of the planet. Despite the fact that it was built more than 4,500 years ago, we have still not managed to understand how the ancients built it without the use of sophisticated technologies. The Merer diary, as the papyrus has been called, at least offers some insight into how it was done. It details that stone blocks were ferried across the Nile in what is believed to have been a series of canals that delivered the massive blocks of stone as close as possible to the Pyramid construction site. The massive stones were then rolled onto special tracks and transported to the Pyramid. 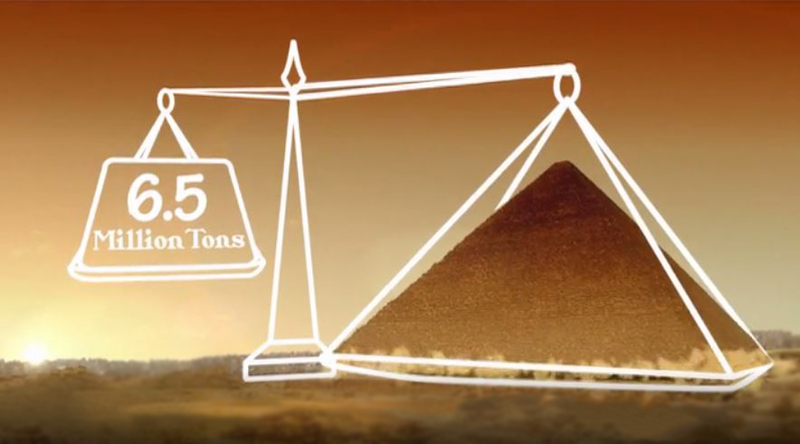 It still remains a mystery as to how the ancient Egyptians managed to stack these massive stones, building a structure that rose more than 150 meters into the sky.